Squinkies ‘Do Drops Are Here - Welcome to Squinkieville! 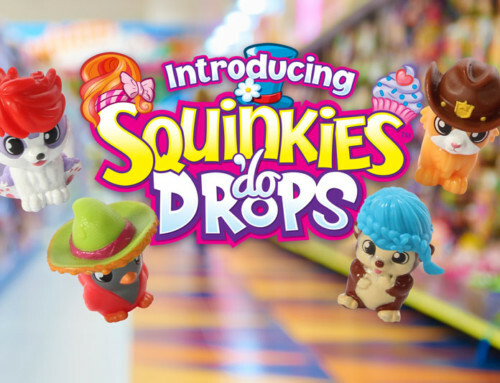 Squinkies ‘Do Drops Are Here – Welcome to Squinkieville! Did you miss us? When Squinkies made their debut back in 2010, they quickly became one of the hottest selling collectible toys for kids. Squinkies rocketed to the top of the list of most wanted toys, and stores everywhere sold out almost as soon as their shipments came in. Squinkies Fever had officially struck. 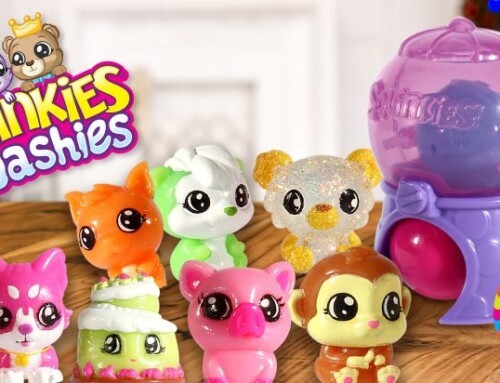 Starting with 96 squishy characters in their own little bubbles, from babies to poodles to monkeys, adorable Squinkies had something to appeal to every young collector. There were even Disney, Barbie, and Hello Kitty special edition Squinkies. After years of success, it was decided the Squinkies needed a well-deserved rest. The Squinkies family took an extended vacation, and Squinkies fans everywhere have been clamoring for updates about when the Squinkies will return. Today, we have great news! Our new line of Squinkies ‘Do Drops lets you customize your Squinkies in countless different ways. ‘Do Drops are our new collection of more than 200 hats, wigs, ears, and more to dress up all your Squinkie friends. You can be as creative or silly as you want to be – give your kitty a fancy cap, or put pigtails on a turtle! Your favorite Squinkies can sport a new look each day of the week. We’re even bringing back some classic favorites in a special collector’s pack featuring 26 of the adorable, original Squinkies. Be sure to keep an eye out for wonderful new Squinkies collectibles hitting stores soon, like the ultra rare Squinkies character mash-ups! 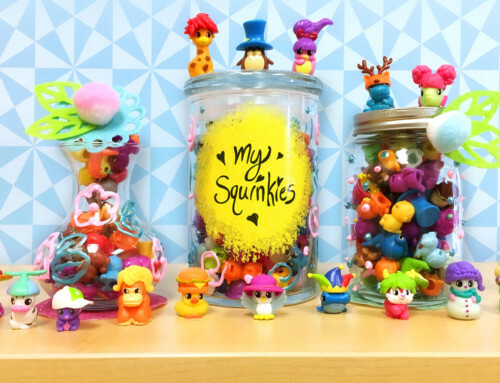 With so many sweet friends, Squinkies ‘Do Drops have their very own world of Squinkieville! There are lots of ways to build your very own Squinkieville. ‘Do Drops Collector Packs include a Squinkies Villa. You can also collect these adorable Squinkies houses with the ‘Do Drops Mystery Villa. Each Mystery Villa includes two surprise Squinkies plus a ‘Do to dress them up in style. Villas come in a variety of colors and styles, so you can keep expanding your Squinkieville collection. With our Squinkieville Playsets, a series of shops and destinations that offer lots of fun for your Squinkies pals. Your Squinkies can jet around the world with the Squinkieville Airplane Playset, complete with teeny luggage and a drink cart! Let your Squinkies cool off with the Squinkieville Ice Cream Shop Playset. This adorable igloo comes with a selection of the sweetest treats on Arctic Island! There are also lots of fun activities for your Squinkies at the Squinkieville Clubhouse. This playset features a game room, Squinkie Café, spinning lookout, garden swing, and much more! 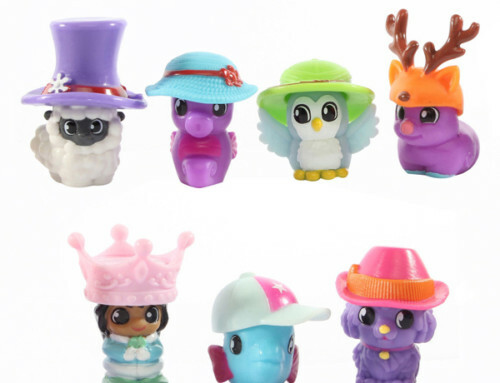 Each playset includes exclusive new Squinkies and a ‘Do for them to wear. 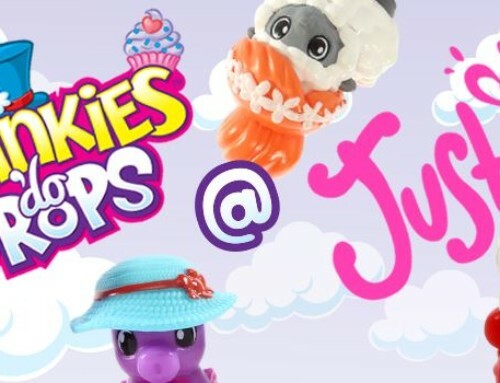 Don’t miss the new series of Squinkies ‘Do Drops – Better Together Squinkisodes, special videos featuring your favorite Squinkies ‘Do Drops, plus lots of new pals. Join the Squinkies as they make friends and share wonderful adventures on their way through Squinkieville! Watch them on Squinkies.com or the Squinkies Official Youtube channel! Follow Squinkies on social media and be the first to know about big news, limited edition Squinkies, and more!